Currently i am working on the ADSP_sc584 ez board. i am able to generate the test cases .but when i am running the test-cases i am getting error which i have attached in this discussion. 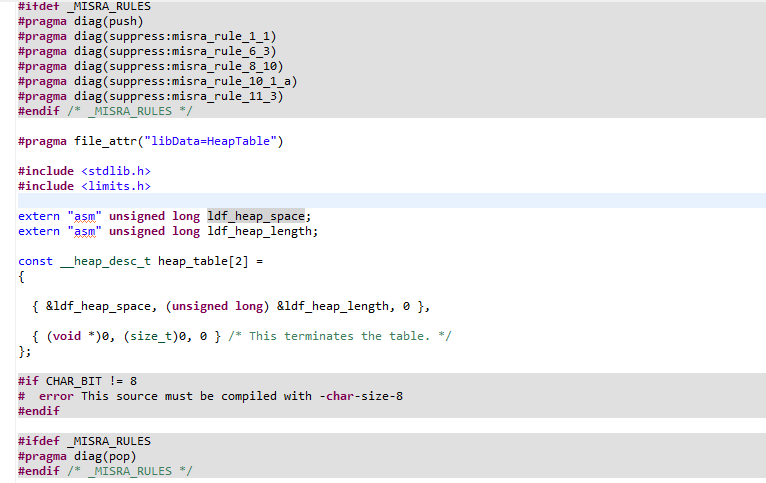 i've created custom compiler and my base compiler is : Analog Device C/C++ compiler 7.0 for SHARC . So,if you know solution then please help me out. this is my source code which is generated automatically. Unfortunately, it seems there is no quick/easy workaround for this problem. C/C++test parser does not support this construct (extern "asm"). I will discuss this with the team and see if there are any non-standard hacks available.